Hollywood Director and screenwriter of King Kong and Kong Skull Island film –Jordan-Vogt-Roberts arrived in the Chay Lap tourism site in Phu Trach, Bo Trach of the central province of Quang Binh on January 1 and announced to popularize the Vietnamese images including landscapes in Quang Binh, Ninh Binh and Quang Ninh across the world. 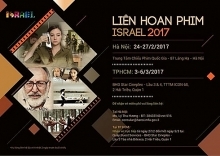 Director Jordan Vogt-Roberts said 3 localities will be popularized in the global marketing program of Kong Skull Island before it will be screened in March 2017. 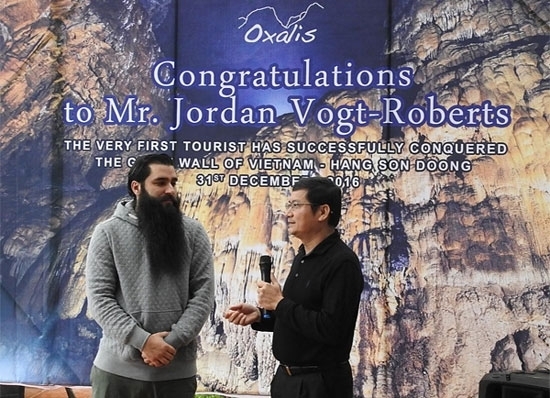 Deputy Chairman of Quang Binh Province Tran Tien Dung congratulated and offered the gold medal to Director Jordan Vogt-Robert who has conquered successfully the world’s largest cave Son Doong. The US director said he and the world’s stars will return Quang Binh in the upcoming time.